The following cupcake recipe uses a reduced-fat mixture of mascarpone, low-fat cottage cheese (curd), and non-fat Greek yogurt as the filling. 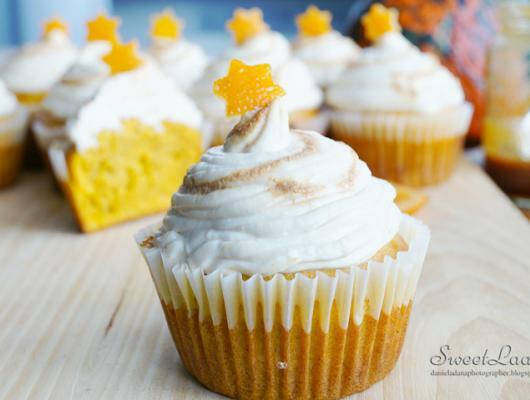 It´s colored with orange Hokkaido pumpkin, overloaded with vitamin A, as well as with a fresh orange flavor. 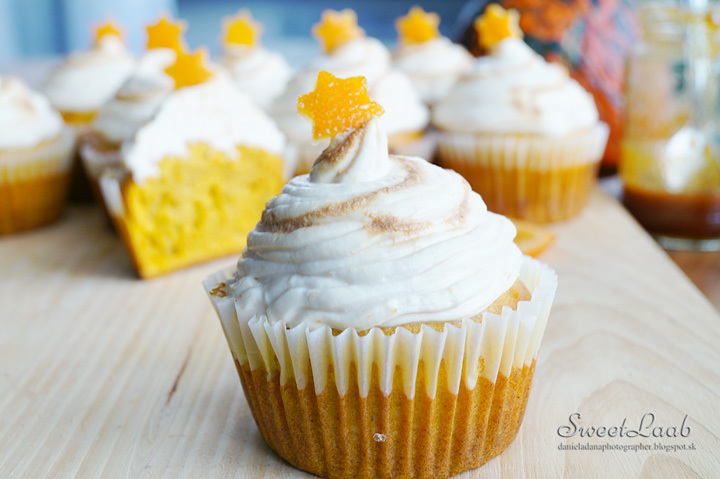 Garnishing with the low-fat orange caramel and orange star candies may make this cupcake also good for Christmas fancy cakes.